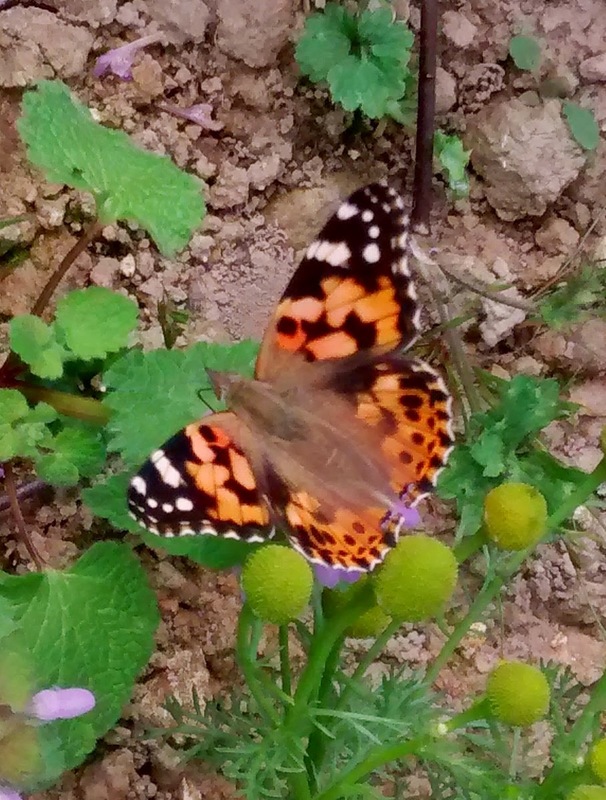 I finally saw my painted lady! I think this is the last (new to me) species of butterfly I'll see this year. It's coming to the end of the season and all I see lately is speckled woods, commas, small coppers, and small and large whites. I'd still like to get a better photo of a small heath, small white and large white. You'd think the whites would be easy as they're so common, but they never seem to land for very long for me! Anyway, so I happened to stumble across two painted ladies while out walking Beau. Again, no camera, but as I was waiting for a phone call, I had my mobile phone on me. So while the quality isn't great, I do have record shots. And as this blog isn't very long, here are two bonus moth pictures. The plume moth came up out of my flower beds as I was watering the garden, and the angle shades moth I spotted (somehow!) roosting while I was out walking with Beau on Ham Hill. I love the angle shades moth.